Another Friday night of echoing isolation — packed like sardines in Keren’s car, with our friend Mike too on the way back — to see our friends Asperger’s Are Us perform at PhilaMOCA. C and B can NOT use this event for their special PhilaMOCA-themed memoir “ And We Were The Only Kids There”, because they weren’t. But my goodness, they have seen AAU four times, in four years, since we met them in 2015. Béla is not known for his ability to find an indoor activity and just do it, by himself. He’s a well-documented hoodrat, in the park with friends, the rec center when it’s staffed, or just being a “stoop kid”. But unlike his sister, who’s bedroom is now known as Planet Claudia, he isn’t much for dramatic play, reading unless asked to… and he never likes to do any of it alone. 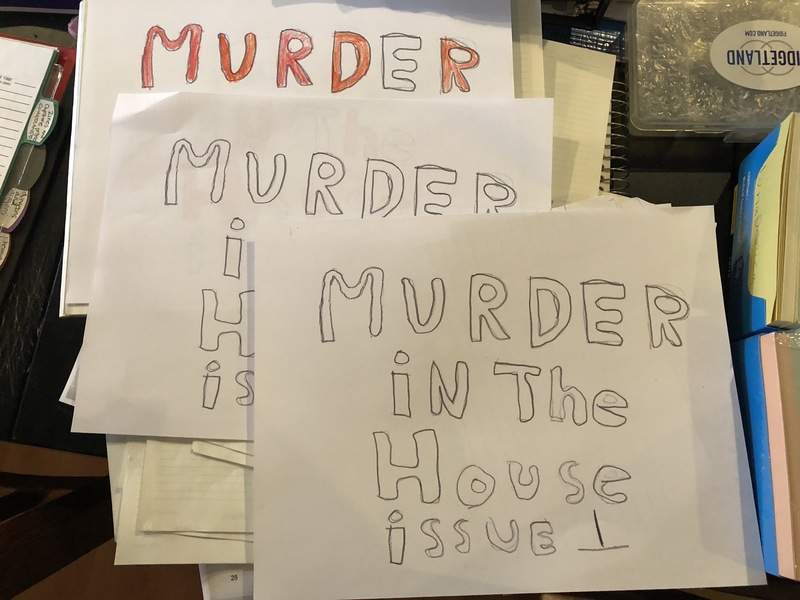 Last night he spent two and a half hours drawing and writing panels for three volumes of “Murder in the House” (not our house, I don’t think.) They are not ready for preview. But he was inspired. 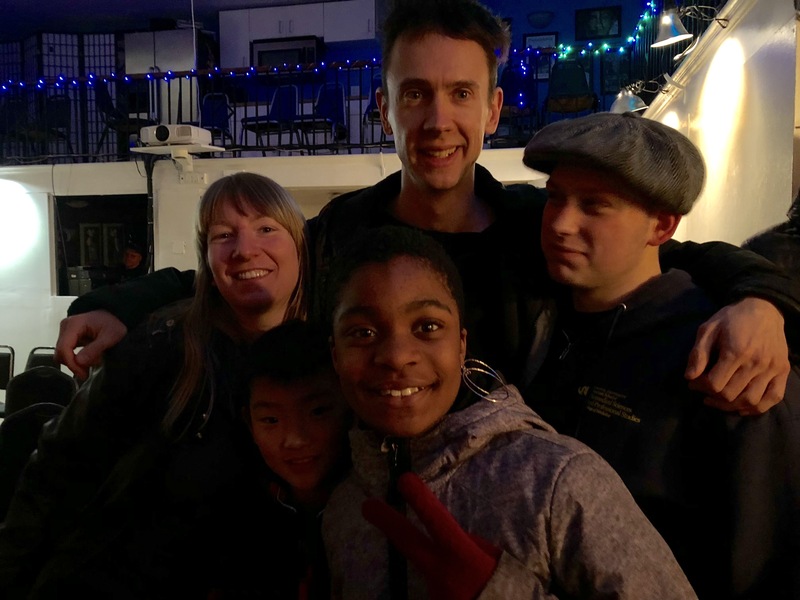 We are always happy to see Noah, Ethan, New Michael and Jack — they have a special place in our hearts and family history — and it was great to have Mike and Keren get to see them for the first time.